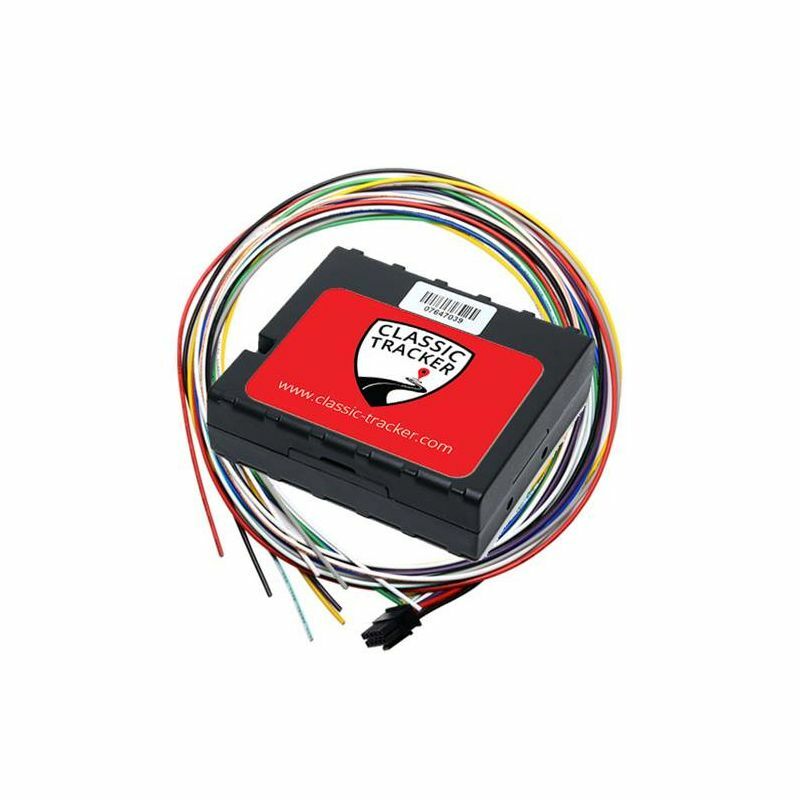 Classic Tracker is a great modern way of protecting your car. A neat App allows you monitor where the car is at any time with alerts if it is started or moved. Classic Tracker provides a secure and reliable tracking service designed and configured specifically for classic cars and motorcycles, providing real time monitoring and live tracking along with remote controlled immobilisation if your vehicle is moved without your consent. Designed as a Self-Install unit, requiring 3 connections for the main unit, permanent supply, ground and ignition feed with a further connection going to a relay that is then wired to control the immobilisation function. Utilising GSM & GPS signals to establish and maintain a secure connection to your vehicle for real time location details, with multiple "SafeZone" assignments you are instantly notified when your vehicle is moved via text or email, you can access full details via the web or on a mobile device using the dedicated App, allowing for real time location details for the authorities as well as access to the immobilisation function. Our package includes one year's subscription to the "Safer" package service with an annual renewal fee of £99 after the first year. Installation should be carried out by a competent person with a knowledge of vehicle electrical system's, If you are unsure we recommend installation by a professional. 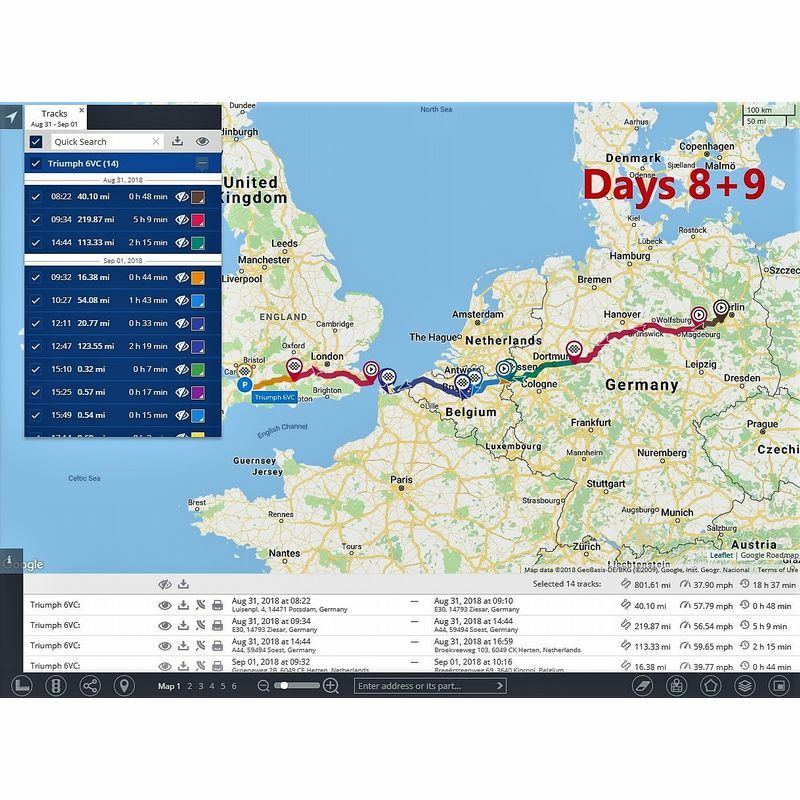 To see more detailed views of the tracker record of journeys made please click on the link below.